There's no denying that 'Live In California' is a pretty decent live record. The live album, particularly in the seventies, was a sure fire way of kick-starting a stalling career or reinvigorating one on the wane. 'KISS Alive' single-handedly saved the soon to be bankrupt Casablanca Records while simultaneously catapulting New York's finest into the stratosphere. Similarly, 'Cheap Trick At Budokan' finally crystallised their obvious talents with a rock solid classic that captured the true spirit of the band on vinyl. 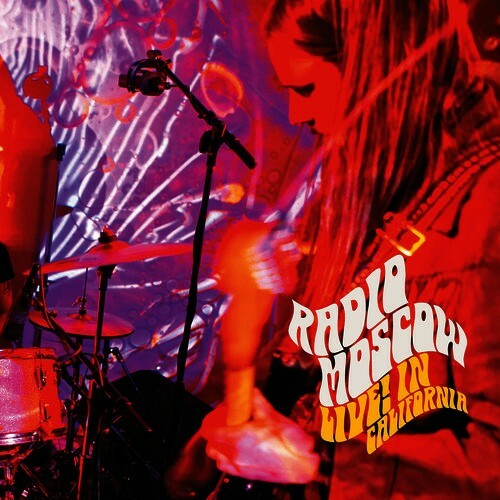 Four albums into Radio Moscow's decade long career may just be the right time to roll the live album dice and hope for that stroke of luck that brought the big time to KISS and CT. Built around front-man/guitarist Parker Griggs, this power trio from Iowa certainly kick up a storm on stage. With a style that nods towards Blue Cheer and Cream fronted by Frank Marino's interpretation of Jimi Hendrix, RM sound totally at home on stage. With Parker's fired up riffs and screaming solos there's barely time to pause for breath from the opening firestorm of feedback and wah-wah of 'I Just Don't Know' to the closing double punch of 'No Good Woman' and 'So Alone'. The sweat and passion of the show is almost tangible, enhanced by the warts and all production and "no overdubs" swagger that puts the listener right in the thick of the musical melee. This is what a live Rock 'n' Roll album should be – powerful, energetic and exhausting. Maybe what Radio Moscow currently lack are some real killer songs, the type that would make them really take off and ones that would make a good record a great one, but this is the sort of band you'd have a blast seeing in a small, sweaty club. While not reaching the dizzy heights of say 'Made In Japan' or 'Live And Dangerous', and maybe we'll never see the likes of live albums of that calibre again, but there's no denying that 'Live In California' is a pretty decent live record.